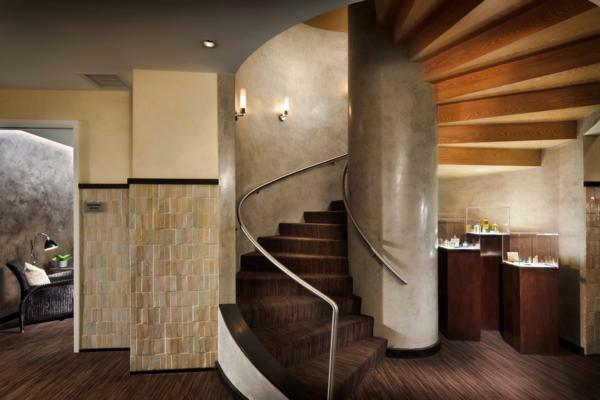 Red Door Spa NYC offers signature treatments that include facials, body treatments, skin treatments, and massages. The relaxation begins in their waiting room where you are served cucumber water or hot tea. 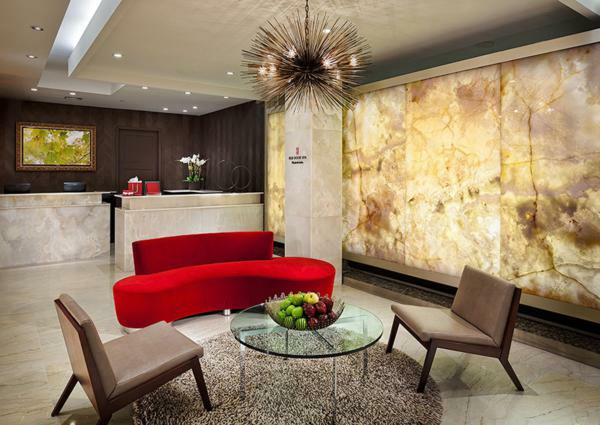 Guests can enjoy a variety of services from their large menu without worrying about the fuss of the Manhattan hustle. Last night, I went to the VIP Opening of Red Door Spas NYC Flagship. The store opened on January 26th but we got the official introduction yesterday. The spa is sooo beautiful!! They offer many services and just a place to unwind and relax, amidst the craziness of the city. It’s located in a major shopping area so it’s the perfect place to kick back after a day of shopping. 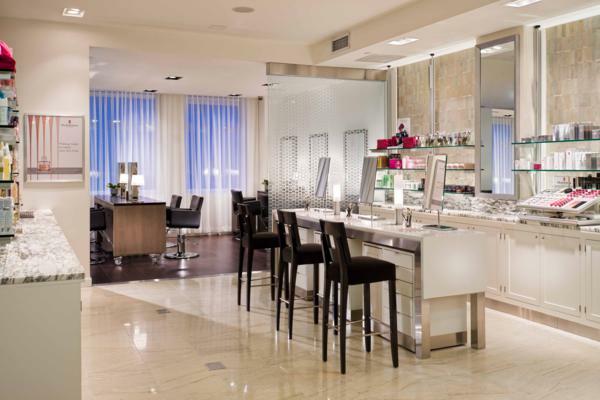 Red Door offers signature treatments that include facials, body treatments, skin treatments and massages. At the event last night, some of the top players at Red Door spa NYC were there to chat about their plans for the new store. They’re all super excited for guests to try out their services. Red Door is also taking part in Fashion Week!! They’re doing Emerson, the Red Dress show and Brandon Sun. Here’s something I’m really excited to share with you. If you’re passing by Lincoln Center, there’s going to be an Elizabeth Arden Red Door Spa Beauty Bus outside Lincoln Center on Thursday, February 9th 2012. They’ll be there between 10am and 2:30pm doing hair, makeup and nails by appointment. You can be a part of the glamour of Fashion Week!! 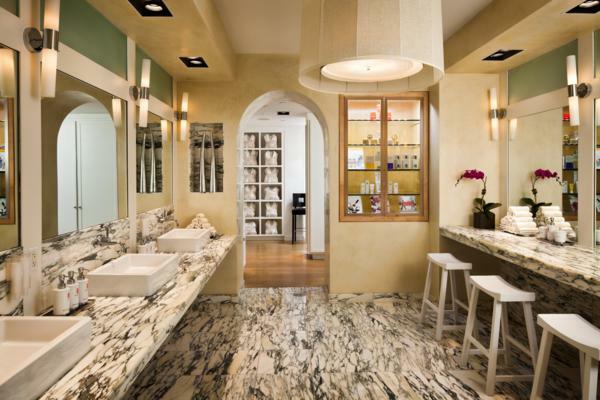 As soon as you walk into the place, you can see that the vibe is chic and inviting and absolutely relaxing as well – just as a spa in NYC should feel. It’s quiet and serene. The mood is immediately set and my shoulders relaxed as soon as I walked down this staircase. To read more about the new store and see what services they offer, go to www.reddoorspas.com. Everyone needs a little spoiling. Want to get a manicure done? No problem. 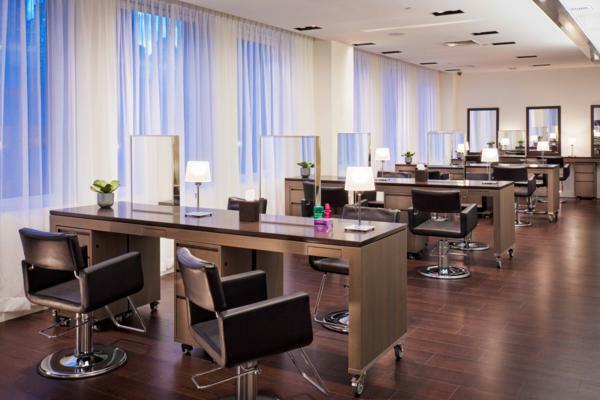 Looking for the latest hair treatment? Facial? Massage? Totally covered. Have a small party that you want to make appointments with – they can absolutely accommodate you and your guests. This location is large enough yet quaint enough for anything that you need. And when you are all done, you don’t have to worry about heading back outside to the hustle and bustle of the NYC streets with puffy red cheeks. Free makeup applications are available for those who get face treatments. Don’t fret. You don’t HAVE to do this – it’s only an option. I usually never take it because I like when my skin is newly cleaned. Rest. Relex. Rejuvenate at the Red Door. Thanks for sharing this inspiring staff. Keep on posting. A very nice place. The Ambiance specially the services.I love all your offerer services guys!Keep up the good work.